I like Luke Goss. There, I said it. He kinda always plays himself (in a Jason Statham sort of way), but I don't think that's a bad thing. Why didn't Jason Mewes make the cover?! Okay, so...a little shy on plot. Bounty hunter Wade, played by Luke Goss (Hellboy II / Blade II) leads his team into Mexico to nab some woman who will testify against a drug cartel, faced by Danny Trejo in a very limited cameo. He's clearly on the cover to sell dvds. 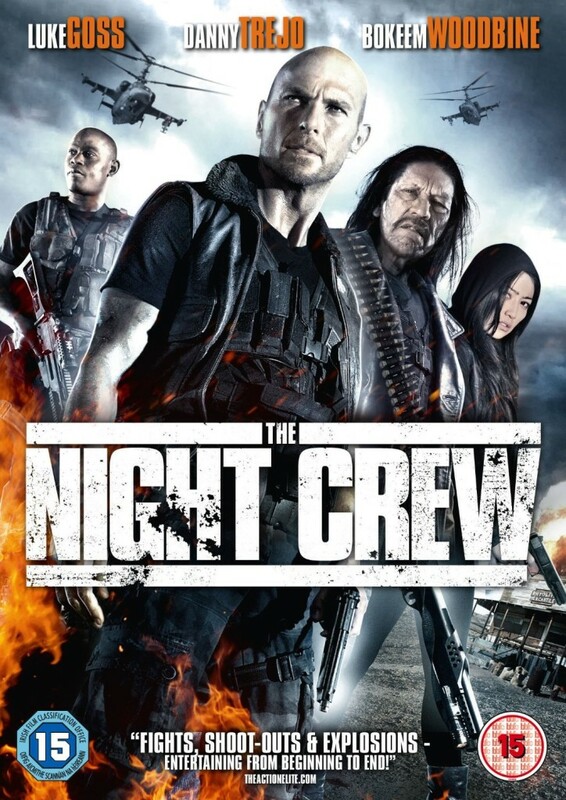 This leads to a standoff between Trejo's men and Goss's team in an abandoned motel. There's supposed to be a shocking twist at the end, but you sort of see it coming, and it presents sequel bait I'd pay to see, that will likely never get made (mostly, because it's already on TV in the UK less than 12 months after release). The problem with films like this is that the "generic" gets kicked about a lot. And yes, I could say this is a generic action flick. But is that a bad thing? It's an action film. Apart from the cast, was The Expendables anything other than a generic action flick? So the plot's okay, the acting is okay, perhaps a little better than just okay. The gun fights are okay. Have a beer. Enjoy its gratuitous generic-ness. And yes, Jason Mewes is in it.